This article will help the intended reader in setting up an environment for Embedded Linux application development. The resulting environment enables cross-platform application development for Toradex ARM-based embedded devices using a typical desktop Linux workstation. Please refer to the release notes document for information concerning a specific image. The release notes can be found at the Linux BSP Release. 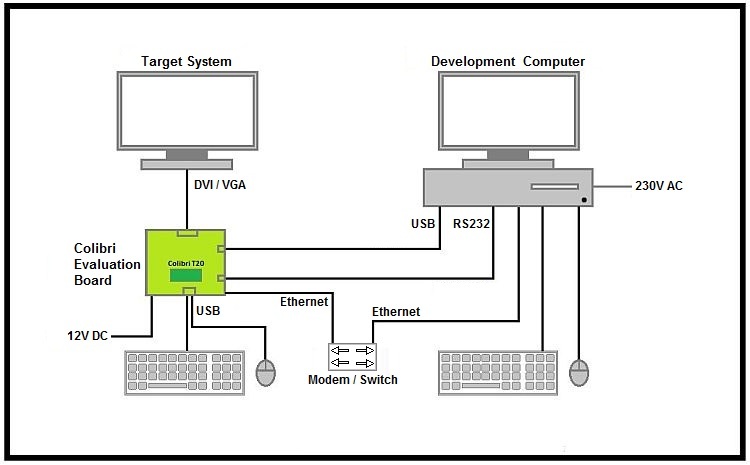 The following block diagram illustrates the hardware setup suitable for development. Linaro sample root file system. 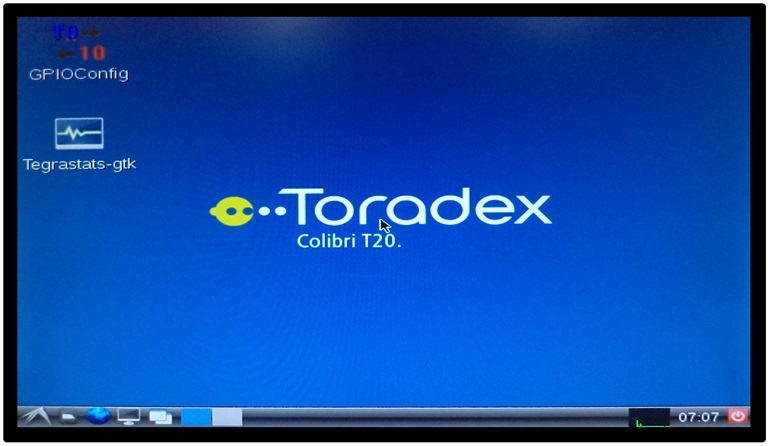 Toradex Embedded Linux pre-built image root file system. Eclipse IDE provided in the distribution feeds. Eclipse IDE downloaded directly from their website or using the Eclipse Installer. In the present article, the following is used: Linaro or OpenEmbedded generated cross toolchain, Toradex Embedded Linux pre-built image root file system and Eclipse IDE provided in the distribution feeds. In the subsequent article Hello World application on Embedded Linux, it is presented how to configure Eclipse using the Linaro toolchain. For beginners, the step-by-step Getting Started Guide uses pre-built OpenEmbedded SDK and Eclipse IDE from the Eclipse Installer. It explains comprehensively how to configure Eclipse to use the toolchain and root file system provided by the SDK. When you start using Yocto/OpenEmbedded, the Linux SDKs article uses custom SDK built with OpenEmbedded and Eclipse IDE (assumed it is already installed). It explains objectively how to configure Eclipse to use the toolchain and root file system provided by the SDK. In this article, we will be using Ubuntu 14.04. Visit the Ubuntu website to explore how to install Ubuntu on your development workstation. #if you have a 64-bit Linux host install your distributions 32-bit compatibility libraries. The rootfs will be used on the host machine to compile and link against. The extracted files will also be used later to flash the full image onto the target. Note: In this example, the link is placed to an NFS server path. Any path may be used for software development; however, by hosting the rootfs on an NFS server it is possible for the target device to mount the rootfs via the network allowing simultaneous access to the live rootfs by both target & host. A cross-toolchain (often times just called cross-compiler) is used to build an application on the host which later on can be executed on the target device. Accept the default workspace location. Once on the welcome screen click "Workbench". You might want to have Eclipse on the launcher. Right click the Eclipse icon in the launcher and click 'Lock to Launcher'. Minicom is a virtual terminal application. We will use it to see console output from the target during boot and may use it to login and work with the Linux command line on the target. Put yourself into the dialout group (or whatever is needed to have access rights to serial devices in your distribution). Configure minicom for the serial port you will be using on your host, 115200 8N1 no hardware flow control. Set init, reset and hang-up modem control strings to empty and set modem has DCD line to no. Notice the boot messages in minicom when the target boots. The first boot might take a while. You should already have downloaded and extracted the appropriate Linux image to your host machine. If you skipped this step, then do it now. When the update is complete the target should be booting the latest Linux OS. Start terminal application LXTerminal on the target device. Check the IP address of the Ethernet network. The IP address of the target's Ethernet interface will be required to remotely access the target device from the host. Note that Ethernet is configured to do DHCP by default. (OPTIONAL) To manually assign an IP address to the target's Ethernet interface. For a more complex network setup, refer to How to setup Networking for Embedded Linux Application Development. You're now ready to write your first application! 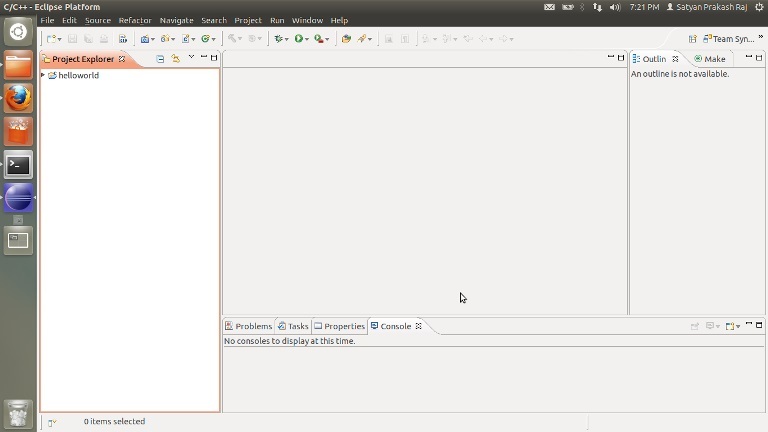 Continue with the Hello World application on Embedded Linux.